The Meme Merchant Culture Society went out the other night to a house hoot, for the first time in many ages, as a possible encouragement to use our French with people who actually speak French for a living, even if they are from the tail end of the Francophone world and tend to get a lot of grief from the Parisian epicenter of the Francophone world about their pronunciation and grammar. C’est la vie. This particular evening’s experience was a musical encounter with Québécois folk music trio Le Bruit Court Dans La Ville, “The buzz around town” more or less, le bruit court [literally ‘the noise short’] may also be rendered as “rumor has it,” though we are not sure if there is a Québécois vs Parisien distinction here – possible. This is not another music blog, this is a blog mostly about odd ideas; in the course of the evening we encountered enough unusual ideas to be worthy of promotion of the evening’s experience to a blog post. 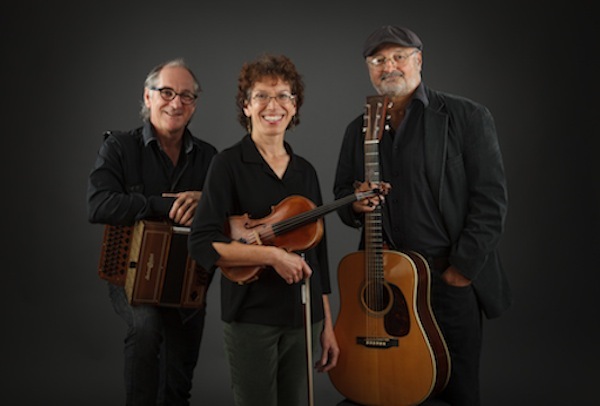 The first odd idea was not that three Québécoises should be trying to make a living reviving a declining folk music tradition by giving concerts in people’s living rooms aux Etats Unis – a worthy idea – but not that odd. The first odd idea was that in the Québécois folk music scene, les pieds [the feet] are an instrument you are likely to find credited in an album’s liner notes – extraordinaire. The second odd idea is that in addition to the usual stories of marital infidelity by wife, or husband you may also find reference a theme of the now largely defunct Social Credit movement.